If off-the-shelf just won’t cut it, and your reputation is on the line, you can rely on a proven supplier to provide the quality, performance and on-time delivery needed to keep your shell and tube exchanger project on track. We know sanitary requirements – as a leading supplier to the pharmaceutical, dairy, personal care, food and beverage industries – we understand the process, surface finish and clean-ability standards you require. Enerquip is the only shell and tube heat exchanger company that can deliver custom stainless steel shell and tube heat exchangers in half the time of the industry average. How can we accomplish this, when others can’t? 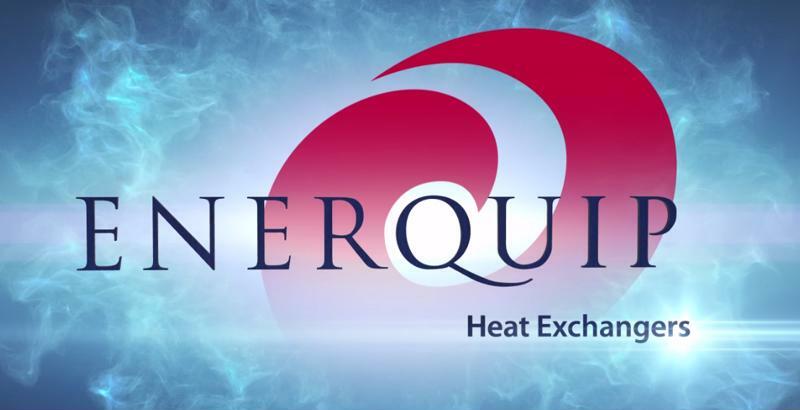 Enerquip has a team of experienced thermal design engineers that will work with you to determine the best type of exchanger for your specific application. More than likely, we have worked with heating/cooling your type of product and can make recommendations to improve efficiency, ensure longevity, and improve maintenance, so that you get more long term value on your shell and tube heat exchanger purchase. By using state-of-the-art HTRI sizing software, Compress code software, an extensive library of past designs, and a large database of product properties, you can be confident that your exchanger is designed to meet the specific process flow conditions, desired thermal requirements, regulatory codes and sizing footprint. Once we mutually agree on a design for your exchanger, our design team prepares approval and shop drawings in SolidWorks CAD software for your review before fabrication. Enerquip’s shell and tube designs are manufactured according to TEMA guidelines with straight tubes, or U-tubes in shells ranging from 2″ to 48″ in diameter. Each heat exchanger will be built according to the requirements of the appropriate TEMA class for your application and environment – Class B, Class C and Class R.
Standard surface finishes are approximately 32Ra for product contact, and 40 Ra for exterior surfaces, but we also provide higher polished and even electro-polished surfaces for hygienic applications. Although Enerquip standard heat exchangers are usually designed for 150 psig at 375° F, we can design ASME code stamped heat exchangers for operating pressures as high as 3,000 psig. We also provide heat exchangers that meet 3-A, PED, MOM, and ANSI codes. A CRN (Canadian Registration Number) can be obtained for any of the Canadian provinces. Enerquip fabricates shell and tube heat exchanges from a wide range of stainless steel alloys, from common 304L and 316L to duplex stainless steels like 2205, 2507 and Zeron 100. We also use corrosion resistant alloys like Hastelloy, Alloy 20, Monel 600, AL-6XN, Titanium and copper-nickel alloys. Because Enerquip respects our customers’ concerns about cross-contamination of materials, we do not work with carbon steel in our facility. Because of our stainless buying power, we are normally able to offer a 100% stainless steel exchanger at a competitive price compared to carbon steel. This gives you higher value and lower maintenance costs on your equipment. Challenge us – we love this stuff!